Try this delicious winter vegetable soup on for size. Perfect for those days when the fog takes over your day, the weather ruins your plans and you want something that will keep you warm and toasty. 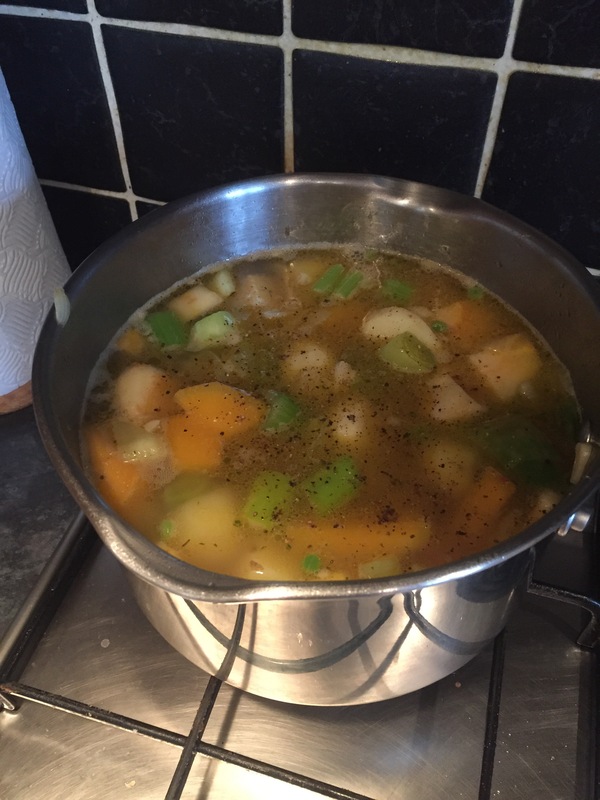 I’ve used 9, yes 9 vegetables for this soup and it’s a good source of calcium, folic acid and vitamin C.
I used vegetables from Asda’s wonky veg box which is amazing value at £3.50. You can get all sorts of vegetables depending on the season. 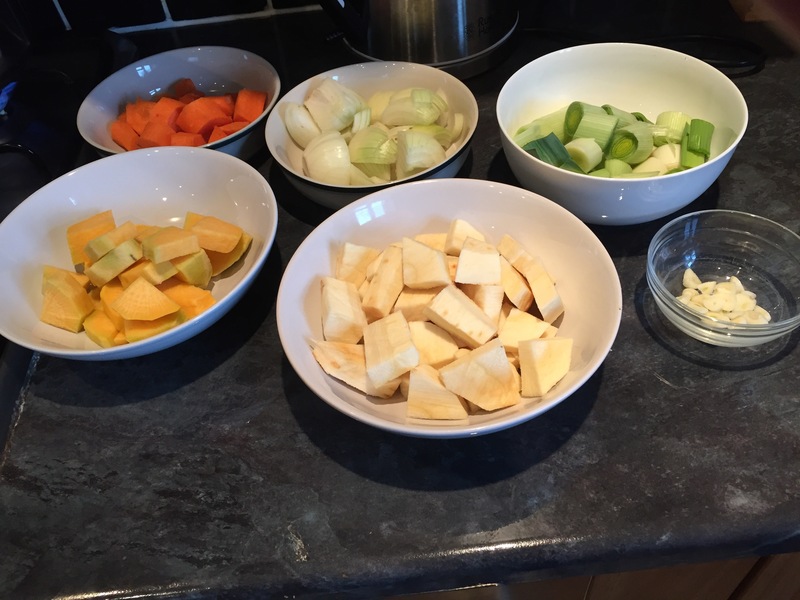 My box contained 5kg of fresh produce- carrots, potatoes, peppers, cucumber, cabbage, leeks, parsnips and onions – which works out 30% cheaper than standard lines. If you don’t mind your veg having a little character, then definitely try it out and the box has just won Asda product of the year. Roughly chop your onions and garlic. Chop all your veg (apart from your peas) into small chunks. Put the knob of butter, oil, onion, garlic and leeks into the pan on a low heat. 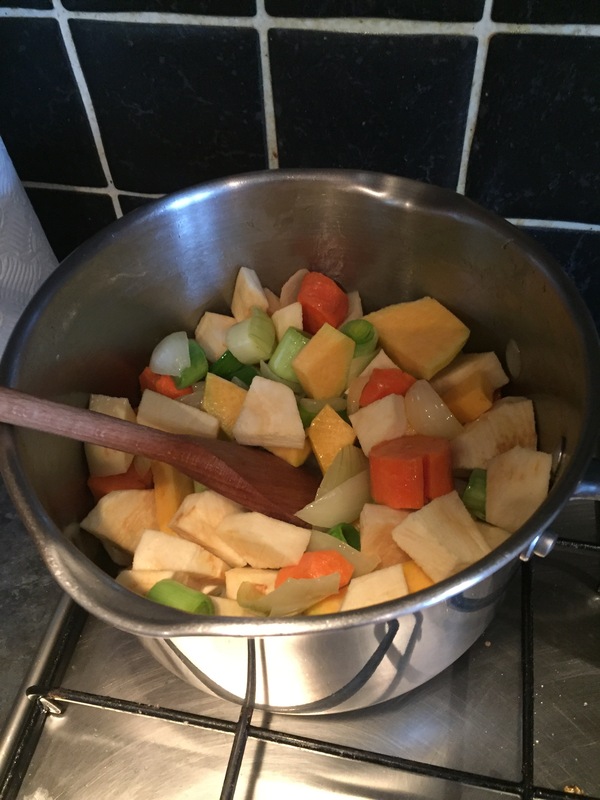 When soft add the carrots, parsnip, potatoes, swede, peas and celery into the pan, mixing the veg together letting the butter and oil soak in the flavours. To 500ml of boiling hot water, add 2 vegetable stock cubes. Add to the pan of vegetables, bring to the boil, cover and simmer for 40-50 mins. 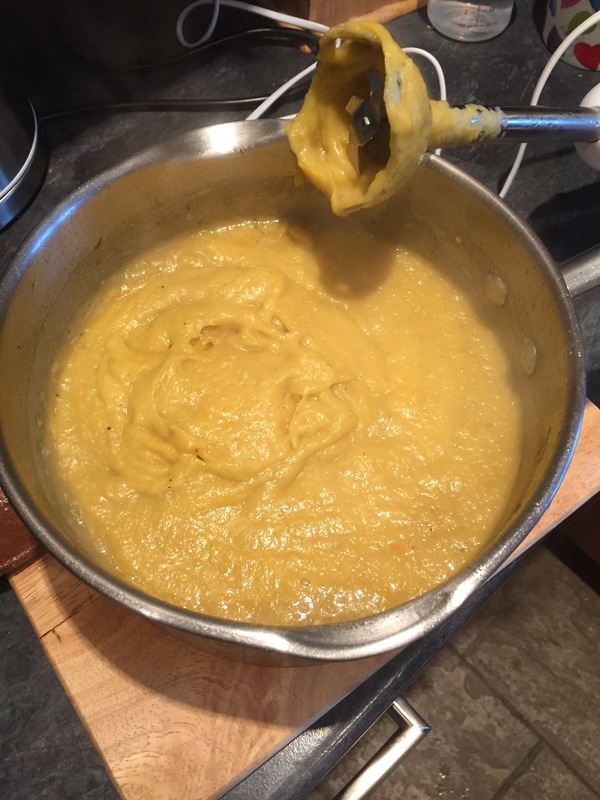 Transfer to a blender or food processor and process until smooth. Season to taste. 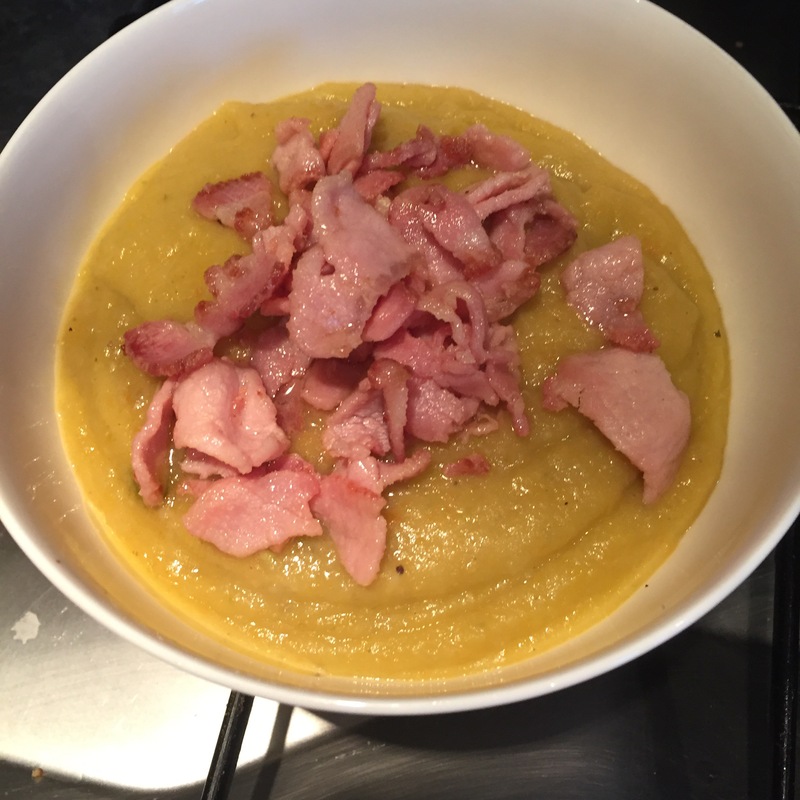 I added smoked bacon to the soup which adds a great smoky flavour.